iiNet is an Australian Internet Service Provider and a leading challenger in the telecommunications market. iiNet is an Australian Internet Service Provider and a leading challenger in the telecommunications market. We're committed to making it simple for all Australians to get online across both our own ADSL2+ network and the exciting new nbn™ technologies. Our vision is to lead the market with services that harness the potential of the Internet and then differentiate with award-winning customer service. We employ more than 2,500 enthusiastic staff across four countries - 80 per cent of whom are employed to directly service nearly one million customers. A lot has changed since iiNet was founded in a suburban garage in 1993 and the broadband landscape continues to evolve. What hasn't changed is our passion for the transformative benefits of the Internet and our commitment to helping Australians connect better. Our Media Centre contains media releases, papers and presentations and corporate resources. All the latest releases from iiNet and our affiliated companies. Check out the latest news, product reviews and opinion pieces, written by staff. Where we've come from and what we've achieved along the way. 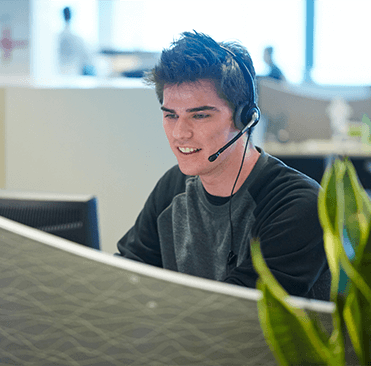 Current vacancies and why working for iiNet is awesome. Everything you need to be a legal eagle.